Prominent & Leading Manufacturer from Nashik, we offer through beam sensor and photo beam sensor. Through - Beam Sensor offered range is manufactured by vendors in strict accordance with the global quality standards using high-grade raw material and latest technology. Also, the entire range is thoroughly checked on varied parameters, to make sure the quality, flawlessness, and zero-defect. Backed by a diligent team of professionals, we have been able to manufacture and supply excellent quality range of Photo Beam Sensor. Use for Security for periphery & boundary wall protection, our offered beam sensor widely demanded in the market for its long lasting operation. This beam sensor is manufactured with premium quality material and contemporary technology as per the needs of patrons. 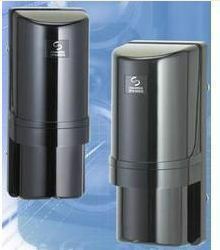 Offered beam sensor is availed from us at market leading rates.